"Land is one of the most important assets in production agriculture and will be directly impacted by the shifting demographics. It also comprises a substantial source of the wealth of many farmers. 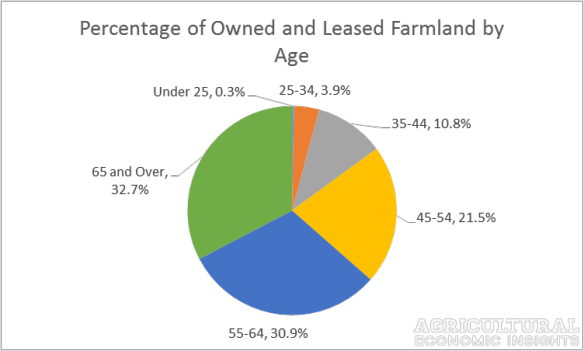 Figure 1 shows the distribution of farmland, both owned and leased, by producer of various ages in 2012. Similar to the distribution or producer age, the largest portion of farmland is held by the oldest group of producers, those 65 years and older. This group manages 32.7% of all acres, or 320 million of the 980 million total acres in the United States."